Last Friday was my birthday, so my husband and I had planned to visit friends in Los Angeles for the weekend. (Mostly because I knew I’d get depressed when you-know-who was sworn into office, and you can’t really be depressed when it’s warm, sunny, and you get to eat lots of great food with your friends.) When we made our plans, we didn’t know about the marches planned for Saturday. But, when we did find out about them, we all immediately knew my birthday weekend wouldn’t be complete without a little bit of civil disobedience. 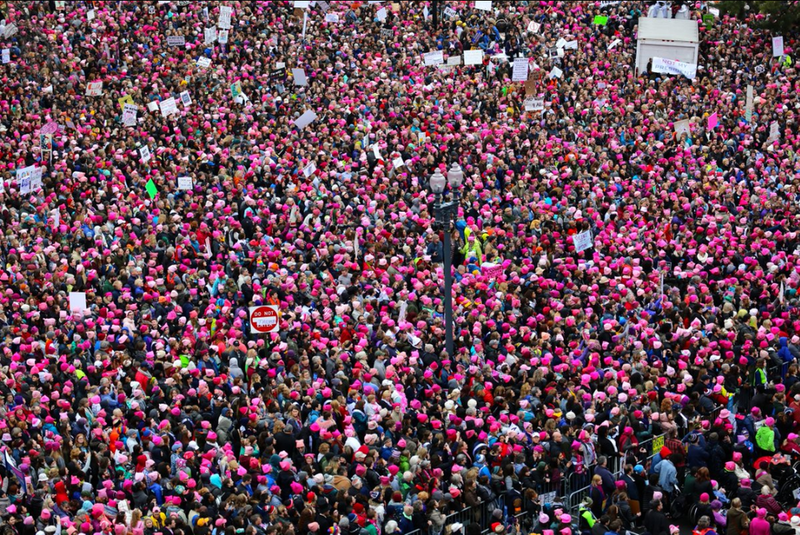 It was an amazing day, and I’ve really been enjoying all the coverage of the marches around the world- it makes me feel like maybe, just maybe, we’re going to be OK.
And, to keep the spirit of the Women’s March alive, I’ve been putting on my Pussyhat every morning and calling my Congresswomen (and trying to call the Whitehouse- though their phone system seems to be down most of the time). I’m not great at talking to strangers, and talking on the phone gives me anxiety, but I’m doing it anyway. If you want to join me- you can find your Congresspeople here. (Or, email me your address, and I’ll find their numbers for you!) Call them! Let you know what you’re thinking! 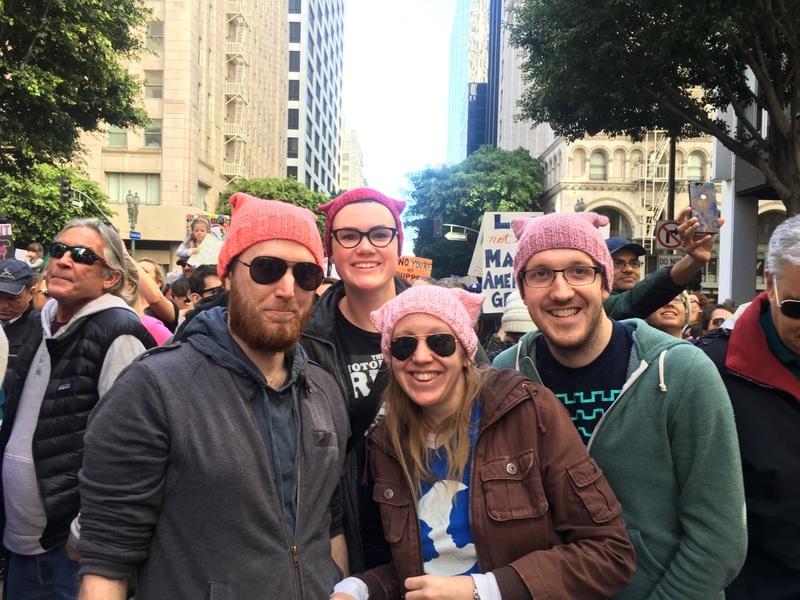 Wear your pink hats with pride! 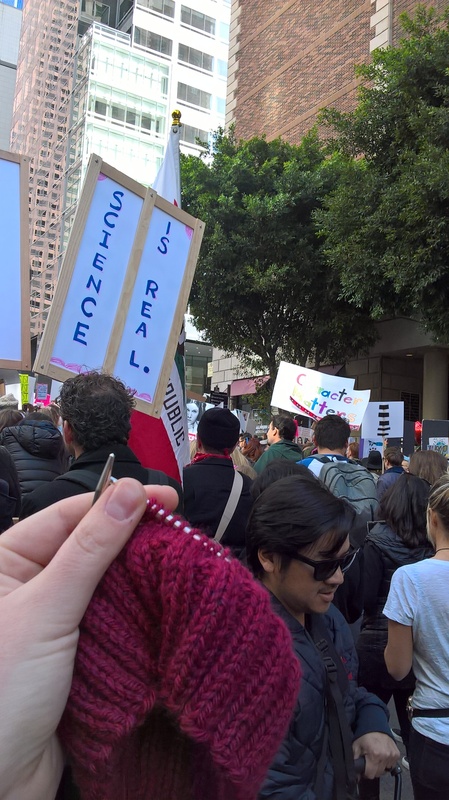 This entry was posted in FYI and tagged pink hat, pussyhat protest, women, women's march, women's rights on January 25, 2017 by onemilljellybeans. That’s so great that you made so many hats! 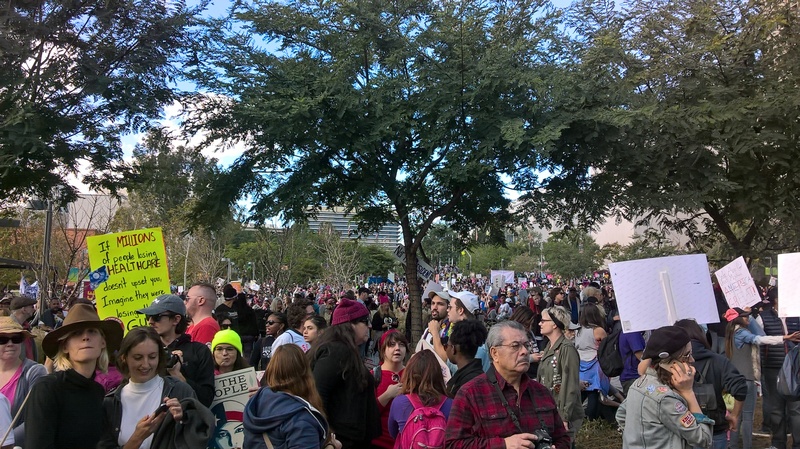 I marched in DC and was amazed to see so many pink hats unifying the event. Thank you for sharing your experience. That’s awesome! I wish I could have made it out there. Oh well, next time I guess (since I suppose there will be a next time…). Thanks for sharing the beautiful pictures… and the hats! Yay you! And you, busyk! I had to work, argh–about 40 minutes from where you were, Alison-but I wore my hat and got a lot of thumbs up from co-workers. I proudly display my hat all day at work and plan to do so indefinitely.